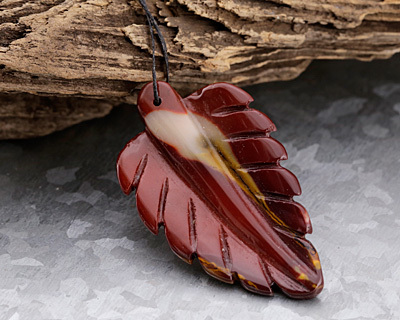 A member of the jasper family, Mookaite comes in warm, rich tones of burgundy, pink, purple, and golden yellow interlaced with creamy beige and white. 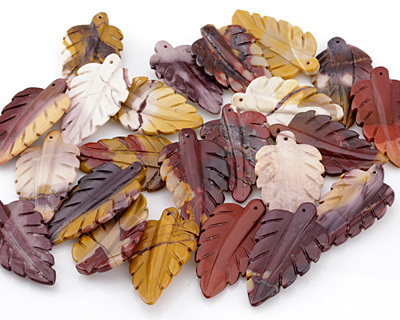 The beautiful colors in these gemstone beads remind us of autumn leaves in northern Michigan - pass the apple cider! 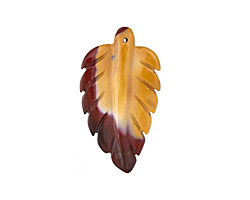 The name of this gemstone is derived from the location in which it is mined - Mooka Creek - in Western Australia. 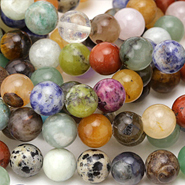 Our mookaite gemstone beads are of great color and have wonderful polish, you won't be disappointed!